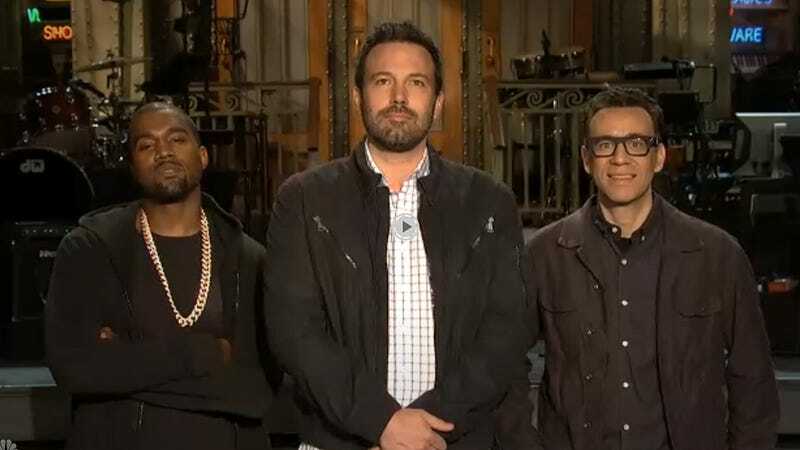 Ben Affleck will host the season finale of Saturday Night Live, with musical guest Kanye West. Is Kanye West really good at keeping a straight face and pretending to be bored and unamused, or is Kanye West truly bored and unamused, or is Kanye West thinking of more awesome baby names along the lines of Northbynorth? Something to contemplate.